Forest Rain has written a smart piece entitled, From Exodus to Munich: How Did We Get Here? This is an interesting bit of cultural inquiry that wonders how the Jewish people in Israel went – in the popular Western imagination – from plucky and outnumbered victims seeking sovereignty (Exodus, starring Paul Newman in 1960) to what is, essentially, the “galut” mentality of semi-neurotic self-doubt in Steven Spielberg’s Munich. Forest Rain is, for very good reason, a tad more skeptical of Steven Spielberg’s Munich. Steven Spielberg did a deep service to the preservation of Jewish heritage by creating the Shoah Foundation and documenting the testimonials of Holocaust survivors. His movie, Schindler’s List, has become a staple in teaching children about the Holocaust. 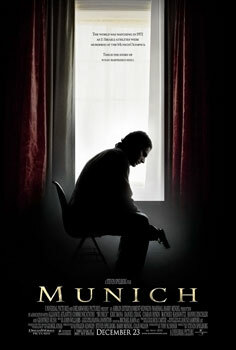 I’m sure, when he chose to create Munich, he did not intend to create a film filled with poisonous, anti-Israel propaganda. And yet, shockingly, that is exactly what he created. In Exodus, the Paul Newman character (Ari Ben Canaan) is a proud, strong Jew and military commander, fighting unapologetically for the establishment of the State of Israel and for the well-being of the Jewish people in our continuously conquered homeland. show conflicted Jews. Jews (especially Israelis) who are strong but feel bad about it. The IDF soldier that does not want to fight, is afraid or doesn’t want to “hurt the poor Palestinian” is a particularly popular character. 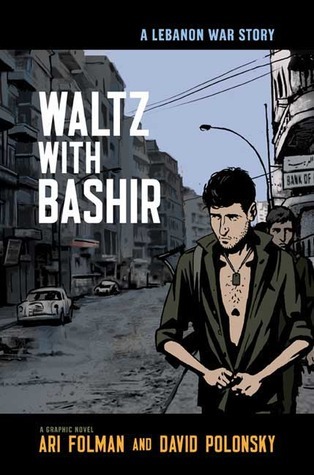 Spielberg’s emotive standpoint is close to Ari Folman’s 2008 Waltz with Bashir wherein the main character is so horrified by whatever role he thinks that the Jews played in the 1982 Lebanese Christian Lebanese massacre of Arab-Muslims in Sabra and Shatila that he cannot even remember it. He psychologically blocks it out. He cannot emotionally face the idea that while he was a soldier in Lebanon Jews may have been complicit in the Christian murder of Muslims. Or, at least, that he – himself, personally – may have been complicit. Ultimately, Forest Rain and I wonder along similar lines. From Exodus to Munich, how did we get here? More importantly, how do we go back? I do not know that I believe in the notion of “national characteristics” but if there is such a thing ours were forged, in part, through the continual irrational malice of larger powers, both European and Muslim. And while we can never go back to the Western sympathies pre-1967 what we can do is stand up unashamedly for ourselves as did Ari Ben Canaan in Exodus. The popular sensibility among “soft” anti-Zionists on the western-left is that we are well-meaning murderers. The friendliest among them tend to be vaguely sympathetic, but ultimately come down on the side of the enemies of the Jewish people. They honestly believe that Arabs seek to murder Jews because we are mean. Israel is mean. The Jews are, as a matter of schadenfreude, are the New Nazis. The Jewish people will not retrieve western-left sympathies anytime soon. That is simply out of the question. It is not going to happen and it eludes me why we should continue to try. What we should do is send our young people to Krav Maga training because there is pretty good chance that they might need it. Michael Lumish is a PhD in American history from the Pennsylvania State University and has taught at PSU, San Francisco State University, and the City College of San Francisco. He regularly publishes on the Arab-Israel conflict at his own blog, Israel Thrives (http://israel-thrives.blogspot.com/). Lumish is also the founding editor of the scholarly on-line discussion forum H-1960s. He can be contacted at mike.lumish@gmail.com.